Our winning deals have, as in previous years, been chosen based on various factors. We attach most importance to the overall significance, complexity and innovative nature of the deals and cases, while also taking into account the deal size and broader interests. China Business Law Journal’s independent editorial team made its own choices on the deals we felt were the shining stars for the year. The winning deals and cases have been placed in four sections: deals in China; overseas deals; disputes and investigations; and Belt and Road. In each section, the deals or cases are listed in alphabetical order to avoid presumptions of ranking. LEGAL COUNSEL: Dentons served as legal counsel for Allianz. KEY POINTS: Aiming at integrating its investment resources in China, Germany-based Allianz Group planned to establish a wholly-owned insurance holding company in China with an investment of RMB10 billion (US$1.47 billion). The deal was one of the most notable signals that China would open up its insurance sector further to foreign investors. According to Dentons, no foreign insurance companies had previously been permitted to own any insurance holding company in China. Therefore, the application materials and inception proposal can only be prepared with reference to cases in respect of PRC-funded insurance holding companies. For any contents not applicable to foreign-funded entities, they had to communicate and confirm with the China Banking Regulatory Commission (CBRC) upon analysis and study from the perspectives of legislative intent and regulatory orientation. LEGAL COUNSEL: Herbert Smith Freehills served as legal counsel for Apple. KEY POINTS: Apple made a US$1 billion high-tech investment in Guizhou, including a massive new data centre of more than 1 million square feet. To comply with cyber security and telecom laws, and improve customer experience, the iCloud service for all Chinese users of Apple devices will be shifted from the US to new data centres run by Guizhou-Cloud Big Data Industry Development (GCBD), the Chinese partner of Apple. Apple is the first major international tech company to do so, and in such a large scale. According to Herbert Smith Freehills, this is one of the first such cases in China and there are few precedents. The lack of transparency in telecom laws and practice in China makes it challenging to serve the commercial interest of the parties as well as ensure compliance with the law. The project involves intensive exchange of documents, negotiation and discussion with the local state-owned data centre company, provincial government of Guizhou, and also the Ministry of Industry and Information Technology (MIIT). LEGAL COUNSEL: Broad & Bright served as legal counsel for China Aircraft Leasing Group Limited (CALC). KEY POINTS: This was the first asset-backed specific programme in the Chinese market denominated in foreign currency, and also the first one with assets from an aircraft lease business as underlying assets. The programme, issued by China Aircraft Leasing Group Limited (CALC), engaged Huatai Securities (Shanghai) Asset Management Company Ltd as its manager. It was denominated in US dollars. According to Broad & Bright, being the first asset backed security (ABS) product on the domestic market denominated in foreign currency. The specific programme has filled a gap in China in this regard and contributed to the diversification of financial products on the domestic capital market. Recognized as a significant financial innovation, the programme represented a milestone in the country’s ABS development. LEGAL COUNSEL: Zhong Lun Law Firm served as legal counsel for the deal. KEY POINTS: It is the first AAA-rated (AAA is the highest possible rating assigned by international rating agencies) asset securitization programme issued to international investors through Bond Connect, a new market access scheme that allows northbound trading. Zhong Lun says the deal was designed to comprise several complex arrangements in order to be assigned the said rating. For example, an offset reserve mechanism was adopted in line with relevant PRC legal provisions, taking into account international experiences. 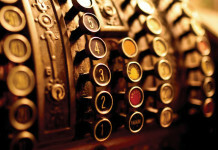 Specifically, in the event of failure to maintain the required rating level, the originator will undertake to fulfill the agreed obligation of depositing a certain amount of offset reserve into the account held in trust, and the custodian will use the reserve to make up the deficit in the receivables that arises out of the borrower’s exercising of the right to offset in respect of the underlying loans. KEY POINTS: As the first quasi-REIT programme in China backed by rental incomes from long-term leases of apartments, the deal involves complex asset restructuring and the “listing” of a quasi-REIT programme. 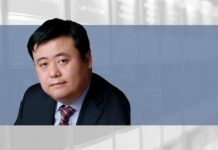 Zhong Lun says that the asset restructuring comprises complex transaction steps that include equity investment, disbursement of entrusted loans, acquisition of equities and creditor rights, and the transformation of a lease relationship. To ensure “listing” of the quasi-REIT programme, the transaction documents are drafted to include the trigger conditions for the programme manager to authorize (on behalf of the specific programme) disposal of the underlying assets by the fund manager, as well as an implementation process, rules for generating an effective disposal plan, arrangements for exercise of pre-emptive rights, and the order of income distribution. They also contain arrangements concerning, for instance, potential lock-up period and allocation of REIT shares in the event of a future public offering of the programme. Leveraging on the experience of quasi-REIT programmes in mature markets, the deal is structured without reliance on the issuer’s credit support. Instead, it reflects the essence of asset-backed securities: cash payments during the term of the programme are supported by rental incomes only, while payments upon maturity rely solely on disposal of the apartments. Therefore, this is considered the most typical quasi-REIT programme available on the Chinese market. LEGAL COUNSEL: East & Concord Partners served as legal counsel for the deal. KEY POINTS: As required by the central government, the Central SOEs Industrial Investment Fund in Poverty-Stricken Areas Co Ltd (SOEs Alleviation Fund) was established, with leading efforts from the State-owned Assets Supervision and Administration Commission of the State Council (SASAC) and co-ordination from authorities that included, but were not limited to, the Ministry of Finance (MOF) and the State Council Poverty Alleviation Office, as a joint-stock fund with capital contributions from 104 centrally administered SOEs directly regulated by the SASAC and the MOF. With a registered capital of RMB15.386 billion, the SOEs Alleviation Fund will focus on investing in resource development and utilization, industrial park construction, and new urbanization projects in poverty-stricken areas. SDIC Chuangyi Industry Fund Management Co Ltd was appointed manager of the fund. East & Concord says the fund aims to support industrial developments and promote local economic development in poverty-stricken areas by taking full advantage of SOEs’ strengths in respect of industrial development, funding, technologies and management. The relevant activities will be conducted in line with SOEs’ relocation, industry restructuring and fixed-point poverty alleviation programmes. Unlike previous poverty alleviation programmes focusing on “blood transfusion”, the SOEs Alleviation Fund is committed to new poverty alleviation principles and approaches. It will use investment and management models that fully promote industrial development in poor areas and motivate local poverty-stricken residents. LEGAL COUNSEL: Jincheng Tongda & Neal (JT&N) provided full legal services for the deal. KEY POINTS: Lu Guanqiu’s Sannong Spiritual Support Fund was a charitable trust established to commemorate Lu Guanqiu, the founder of Wanxiang Group. As the largest equity trust of a charitable nature in the country, the trust was launched by Lu Weiding (the son of Lu Guanqiu) and his family members in October 2018. Establishment of the fund enabled Lu Weiding to continue fulfilling obligations as the actual controller of the listed company, in spite of the transfer of all his economic interests in Wanxiang Sannong Group Co Ltd. All assets held in the trust and all incomes from it were intended for philanthropic purposes. Wanxiang Trust Co Ltd, JT&N and Caitong Securities played key roles in launching the fund, which appointed Wanxiang Trust Co Ltd as its trustee. During the inception process, the JT&N team extensively reviewed existing cases in the fields of family trusts and charitable trusts in foreign jurisdictions, and took inherent characteristics of the PRC legal system into full consideration before designing the internal governance mechanism in respect of management and decision-making of trusted assets, as well as iterative inheritance. Based on these efforts, and in line with the permanent nature of the fund, JT&N developed an internal governance mechanism that required decisions to be made by the board of directors, and management activities to be conducted by the trustee under supervision from the supervisor. The fund plan and trust documents were drafted by the counsel’s team and the custodian’s team in line with the objectives of the founder. The core trust documents, including but not limited to the charter, the articles of association and the trust contract, were drafted with reference to corporate governance structures, and with full consideration to the contractual nature of trust funds. LEGAL COUNSEL: Zhong Lun Law Firm provided full legal services for the deal. KEY POINTS: Shanghai Technology Innovation Centre Equity Investment Fund (STIC Fund) is the only equity investment fund named after Shanghai Technology Innovation Centre, a national strategic programme. Focusing on the major innovative functional platforms, crucial strategic projects and important innovation areas of Shanghai, the fund will concentrate its investments in strategic emerging industries including information technology, biomedicine, advanced manufacturing and environmentally friendly new energy. The fund is a market-oriented fund of funds established by a group of state-owned cornerstone investors led by Shanghai International Group. Participating investors include Shanghai Guosheng Group Co Ltd, Guotai Junan Securities Co Ltd, Shanghai International Trust Co Ltd and Shanghai International Port (Group) Co Ltd. With a target asset under management of RMB30 billion, the fund plans to raise RMB6.52 billion through its initial fundraising. Zhong Lun says it was very challenging to meet the needs of all investors in designing the fund structure and its terms and conditions, as investors of the STIC Fund included various types of entities such as large state-owned enterprises affiliated to the Shanghai government, well-known listed companies, top securities houses and trust companies, which were subject to distinctive compliance requirements and regulations. From the start date to the initial closing date, the project has gone through dozens of rounds of negotiations, and the relevant documents of the fund have undergone numerous revisions by parties concerned. LEGAL COUNSEL: King & Wood Mallesons served as PRC and Hong Kong legal counsel for the issuer, Foxconn Industrial Internet Co Ltd, while Fangda Partners acted as legal counsel to the sponsor and lead underwriter. KEY POINTS: Foxconn Industrial Internet Co Ltd succeeded in going public on Shanghai Stock Exchange in June 2018. As a “unicorn” in the high-end manufacturing sector, Foxconn made a record debut by raising approximately RMB27.12 billion as of the IPO date, making the deal the largest A-share IPO in the past three years, and also the largest IPO of Chinese manufacturers to date. According to King & Wood Mallesons, the deal included the restructuring of many subsidiaries and business segments of Hon Hai Precision Industry Co Ltd (Foxconn’s parent company). Shareholders of the subsidiaries to be restructured were from countries and regions that included the Cayman Islands, Samoa, the British Virgin Islands, and Hong Kong. Having to solve many challenging and arduous tasks within a tight schedule, the restructuring needed to go through complicated approval and filing procedures in domestic and foreign jurisdictions. Specific issues addressed included designing the domestic and overseas restructuring plans, implementation of assets, business and personnel reorganization plans, completion of domestic and foreign approval procedures necessary for completing the spin-off of Hon Hai Precision Industry Co Ltd (listed in Taiwan) and having the relevant asset listed on the A-share market, making arrangements regarding an employee stock ownership plan, and completion of filing procedures with the Asset Management Association of China. LEGAL COUNSEL: Zhong Lun Law Firm served as legal counsel for Great Wall Motor. Allen & Overy served as legal counsel for BMW. FerradaNehme completed antitrust clearance procedures on behalf of the joint venture parties in Chile. KEY POINTS: In July 2018, in the presence of the Chinese and German prime ministers, Great Wall Motor Co Ltd and BMW Group signed a joint venture contract in Berlin, pursuant to which they would form a joint venture named Spotlight Automotive Limited in China, with a registered capital of RMB1.7 billion and a total investment of RMB5.1 billion to promote in-depth co-operation in the field of new energy vehicles. The project was the first electric vehicle joint venture that BMW had entered into. It was also an important arrangement as part of Great Wall Motor’s “going global” strategy. According to Zhong Lun, challenges in handling the deal involved legal issues spanning across several jurisdictions (including the PRC, Germany and Chile), and practice areas such as cross-border investment, industry policies for foreign investment, domestic and international intellectual property rights, domestic and foreign antitrust clearance, product liability, and engineering & construction. As Great Wall Motor Co Ltd was a public company on both the A-share and H-share markets, counsel also needed to assess how the deal may be potentially affected by the capital market regulatory requirements of the PRC and Hong Kong. Besides, on the precondition of keeping the deal secret, it had to assist Great Wall Motor in fulfilling its disclosure obligations in a timely manner so that investors’ rights and interests could be protected. LEGAL COUNSEL: Shihui Law Office served as legal counsel for JD Finance (now renamed JD Digital). JunHe was legal counsel to the investor, China International Capital Corporation Limited. KEY POINTS: JD Finance raised RMB13 billion via B round financing. According to Shihui, the financing was mainly aimed at introducing institutional investors with a state ownership background. The transaction needed to be structured with consideration to laws and regulations governing state-owned assets, as well as requirements of the state-owned investors concerning internal controls. To a varying degree, these considerations added complexity to the transaction structure and documents. Involving a number of institutional investors and an enormous amount of funds, the financing underwent rounds of talks and co-ordination for an extended period of time. For example, several rounds of face-to-face negotiations, each lasting for six hours or more, were conducted before consensus could be reached on the transaction agreement. The terms and conditions of the investment agreement were also intricately designed to ensure the ability of investors to comply with industry-specific regulations and co-ordinate between pre-emptive rights of the parties. The transaction documents also underwent rounds of revision. LEGAL COUNSEL: King & Wood Mallesons advised on the deal. Fangda Partners served as legal counsel to CICC, the financial adviser of Shenhua Group. KEY POINTS: In August 2018, the group merger between Shenhua Group and Guodian Group reached closing after passing the anti-monopoly examination of the State Administration for Market Regulation. The value of total assets involved in the group merger is more than RMB1.8 trillion (US$265 billion). Shenhua Group and Guodian Group were re-organized, whereby Shenhua Group changed its name to CHN ENERGY and, as the parent company after the reorganization, merged with Guodian Group by way of a merger by absorption. According to King & Wood Mallesons, in order to solve the horizontal competition between CHN ENERGY and the listed companies controlled by CHN ENERGY after the group merger, China Shenhua Energy Co Ltd (whose controlling shareholder is Shenhua Group) and Guodian Power Development (whose controlling shareholder is Guodian Group) contributed the equities and assets of the relevant coal-fired power generation companies directly and indirectly held by them, respectively, and established a joint venture company. King & Wood Mallesons says the group merger is the biggest reorganization between state-owned enterprises in recent years, and will likely create an energy behemoth ranking first in the world in many aspects such as coal production and sales, total installed capacity of power generation, and output of coal-to-liquids products. LEGAL COUNSEL: Jincheng Tongda & Neal (JT&N) was responsible for co-ordinating the work of foreign lawyers as the chief legal counsel of Shagang. Heuking Kühn Lüer Wojtek served as German legal counsel. Harney Westwood & Riegels served as BVI legal counsel. Jeantet served as French legal counsel. Herbert Smith Freehills acted as UK, Hong Kong, Singaporean and Australian legal counsel. NautaDutilh acted as Dutch legal counsel. KEY POINTS: To enable indirect acquisition of the data centre business of Global Switch (GS) outside the PRC, Jiangsu Shagang Co Ltd intended to purchase a 100% stake in Suzhou Qingfeng Investment Management Co Ltd for a consideration of RMB22.9 billion, comprising cash and shares to be issued by Shagang. GS was the world’s third-largest third-party internet data centre (IDC) company, and the largest IDC company in Europe and Asia-Pacific. GS’ assets mainly included real estate for investment purposes, especially data centres. Many of GS’ data centres put into operation, under construction or being planned were located in countries along or near the Belt and Road. According to JT&N, the deal did not only involve assets in a dozen countries and regions, complex arrangements regarding shareholder rights, and internal restructuring, but also co-ordination and communication with foreign shareholders, and their advisers and intermediaries. LEGAL COUNSEL: Jia Yuan Law Offices served as PRC legal counsel for the deal. Slaughter and May acted as foreign legal counsel for CNBM, and DLA Piper acted as foreign legal counsel for Sinoma. KEY POINTS: In May 2018, China National Building Material Company Ltd, a subsidiary of China National Building Materials Group Corporation (CNBM), merged with Sinoma International Engineering Co Ltd (Sinoma) by way of a merger by absorption. Following an equity swap between the two companies on 2 May, China National Building Material Company Ltd, the entity surviving the merger, had its H-shares listed on the Stock Exchange of Hong Kong (HKEX) on 3 May. This was the first time that two PRC companies listed on the HKEX completed a merger by absorption. The deal involved a total transaction price of HK$75.1 billion (US$9.57 billion) based on share price on the date of equity swap. Jia Yuan said the merger was highly complicated, because it involved two state-controlled companies listed on the H-share market, and their seven subsidiaries listed on the A-share market, and had to go through approval procedures of several authorities including SASAC, the China Securities Regulatory Commission (CSRC), the Ministry of Commerce (MOFCOM), the Securities & Futures Commission of Hong Kong (SFC), HKEX, and antitrust clearance authorities in foreign jurisdictions. The price at which the equity swap was executed was approved by the SASAC after Jia Yuan’s team explained the reasonableness of determining the swap prices of the H-shares based on the market cap of the two listed companies, and the reasonableness of pricing the non-listed shares based on the price of the listed H-shares. LEGAL COUNSEL: Grandway Law Offices served as legal counsel of Tianjin Qixin Zhicheng Technology Co Ltd (controlling shareholder of Qihoo 360 Technology). Commerce & Finance served as legal counsel of SJEC Corporation. KEY POINTS: Qihoo 360 was a leading company in the field of Internet security. An enormous company, it has a large number of assets consisting of intellectual property rights and various business segments such as Internet advertising and games. In addition to a sale of substantial assets, SJEC Corporation implemented a swap of material assets with all shareholders of Qihoo 360, and issued shares to purchase assets. 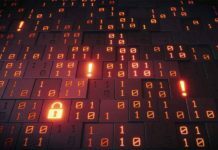 As a result of the transactions, Tianjin Qixin Zhicheng Technology Co Ltd became the controlling shareholder of the listed company, thereby enabling a backdoor listing of Qihoo 360. According to Commerce & Finance, the return of Qihoo 360 to China’s A-share market through a backdoor listing was the largest and most complicated structure of its kind to date. The deal took three years to close, during which it faced extremely complicated situations, for example, drastic fluctuations in domestic and overseas capital markets, and adjustment of regulatory policies. During the deal process, Qihoo 360 completed several plans, including privatization of the US-listed company, dismantling of its red-chip structure, transformation into a joint stock company, reorganization and going public. LEGAL COUNSEL: King & Wood Mallesons was appointed by the court to act as the administrator for the reorganization of Chongqing Iron & Steel. KEY POINTS: According to King & Wood Mallesons, the deal was so far the largest reorganization of a public company in China in terms of amount of assets and liabilities, and the number of creditors and shareholders involved. It was the first time that a public company listed both on the A-share and H-share markets was reorganized. It was also the first time that the reorganization of a public company used an industrial restructuring fund to consolidate its excess capacity. It was a typical case of reorganization aimed at organic improvement, whereby the enterprise relied on rule of law and market-oriented approaches to solve its debt crisis so that it might improve its fundamental profitability. The reorganization of Chongqing Iron & Steel represented the first time that Shanghai Stock Exchange agreed to adjust its formula for calculating indicative ex-right prices in relation to capitalization of capital reserves. It was also the first time that HKEX granted an exemption from the requirement that companies with listed “A+H” shares must hold a general meeting of relevant class of shares when it plans to issue new shares. LEGAL COUNSEL: Tian Yuan Law Firm acted as legal counsel to TRS. KEY POINTS: Beijing TRS Information Technology Co Ltd issued shares to purchase equity in Guangzhou Keyun Big Data Technology Co Ltd and raised funds necessary for covering related costs and expenses. As the first deal going through the CSRC’s “low-value express” review procedure for M&A and restructuring transactions of small amounts, it was granted approval by the CSRC unconditionally in October 2018. TRS is a leading provider of big data, AI-related technologies and data services with proprietary core technologies in China. Keyun Big Data focuses on big data technologies. 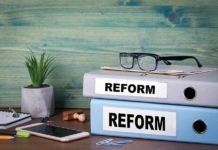 Liu Yan, a partner of Tian Yuan Law Firm and the head of the legal team for the project, told China Business Law Journal that the CSRC did not mean to relax its regulation over transactions of small amounts by applying the accelerated procedure, which is nothing special except that some processes under the procedure are streamlined. To ensure that the deal went through the CSRC’s procedure smoothly, the project team needed to fully demonstrate the legitimacy and compliance of the project and its processes. They also needed to be prepared, in simulated situations, for possible key concerns of the members of the restructuring committee (please see China Business Law Journal, October 2018). LEGAL COUNSEL: Llinks Law Offices and Jingtian & Gongcheng acted as legal advisers for SenseTime. Walkers advised SenseTime on Cayman law. Fangda Partners and Ropes & Gray advised Alibaba, the lead investor for this round of financing. Various other investors also participated. Their respective legal counsel included: Cleary Gottlieb Steen & Hamilton, Maples and Calder, Simpson Thacher & Bartlett, Freshfields Bruckhaus Deringer, King & Wood Mallesons, JunHe, Gunderson Dettmer Stough Villeneuve Franklin & Hachigian, Morrison & Foerster, Zhong Lun Law Firm, Appleby, Haiwen & Partners, and Morgan Lewis & Bockius. KEY POINTS: In April and May 2018, SenseTime completed a series C and C+ round of financing with a value of US$600 million and US$620 million, respectively. After this round of financing, the company is now valued at US$4.5 billion, considered to be the highest valued unicorn in the artificial intelligence field. According to Llinks, the different backgrounds of investors and the limited time schedule made the deal complex. Llinks helped SenseTime to develop strategies and structures to appeal to the diverse needs of investors in the same or different classes. This included creating multi-level frameworks and transaction documents for different strategic or financial investors, and continuous attempts to reach a balance among lots of shareholders by careful and clever drafting techniques from the perspective of corporate governance. LEGAL COUNSEL: King & Wood Mallesons served as the legal counsel of Siemens. KEY POINTS: In July 2018, in the presence of the Chinese and German prime ministers, Siemens and Alibaba Cloud, a cloud computing company owned by Alibaba, entered into a memorandum of understanding (MoU) in connection with the deployment of MindSphere in Alibaba Cloud. MindSphere was a cloud-based, open operating system from Siemens for the IIoT. The co-operation agreement was signed on 1 September 2018. The two companies will work together to build a leading Internet platform using their respective technologies and competitive advantages in the industry. MindSphere, as deployed in Alibaba Cloud, will provide strong services to Chinese companies, helping them to make innovations with advanced industrial solutions. King & Wood Mallesons advised on, among other things, the design of the collaboration model, the drafting and negotiation of the transaction documents, and the implementation of the project. Following the execution of the MoU, the two companies will start working together. As part of the collaboration, they plan to launch the MindSphere platform deployed in Alibaba Cloud in 2019. LEGAL COUNSEL: Jingtian & Gongcheng acted as legal counsel for Suning Sports. Legal counsel for investors participating in the financing are as follows: Guantao Law Firm acted for Zhejiang Huanglong Sports Investment Management Co Ltd. Simpson Thacher & Bartlett and Fangda Partners acted for Alibaba. Zhong Lun Law Firm acted for CMBC International Holdings Limited. Paul Weiss Rifkind Wharton & Garrison and JunHe also acted as legal advisers in this deal. KEY POINTS: As part of the project, Suning Sports underwent internal restructuring and spin-off, and launched the first private equity fundraising with Suning Sports Group Ltd, its offshore affiliate incorporated in the Cayman Islands, as the fundraiser. This round of financing was completed with a value of over US$600 million, making it the largest financing deal in the sports industry, and also the largest series A financing in the past couple of years. According to Jingtian & Gongcheng, the project featured simultaneous implementation of internal spin-off and restructuring (the construction of an offshore structure) and series A PE financing. The overall project was extremely complex due much overlapping content between the restructuring and the financing. The project covered multiple practice areas ranging from restructuring, intellectual property and overseas listing to private equity financing. It also involved a number of investors, who poise varied commercial, legal and internal control requirements, and run different internal procedures and processes. LEGAL COUNSEL: King & Wood Mallesons and Zhong Lun Law Firm served as legal counsel for Tesla. Boss & Young acted for Lingang Group. KEY POINTS: In July 2018, Tesla Motors Inc signed an investment agreement for a pure electric car project with Shanghai Lingang Management Committee and Lingang Group, pursuant to which Tesla will build a wholly-owned gigafactory focusing on R&D, manufacturing and sales in the Lingang area. According to the plan, the gigafactory will be capable of producing 500,000 pure electric vehicles annually. As the first factory to be built by Tesla outside the US, it is the largest foreign-funded manufacturing project introduced by Shanghai to date. According to Boss & Young, by releasing the Special Administrative Measures (Negative List) for the Access of Foreign Investment (2018), China lifts, for the first time, the access control that restricts the percentage of equity held by foreign investors in new energy vehicle manufacturers to 50%. Besides, in respect of access by foreign investors, the Regulations for the Administration of Access to New Energy Vehicle Manufacturers and Products and the Regulations for the Administration of New Pure Electric Passenger Car Manufacturers impose more special regulatory procedures and requirements on electric car projects than on general projects. Aligning specific needs of the contractual parties with these special requirements, the investment agreement outlines rights and obligations of the parties as well as the entire process for implementing the project. LEGAL COUNSEL: King & Wood Mallesons and Simpson Thacher & Bartlett served as PRC and US counsel to Ant Financial, while Morrison & Foerster advised the Alibaba Group. Walkers acted as Cayman Islands counsel to Ant Financial. Appleby acted as Cayman Islands counsel to Carlyle Group, while Linklaters and Harneys served as legal counsel to Warburg Pincus. Mayer Brown and Mourant Ozannes represented Bank of China, Macau branch, Goodwin Procter represented one of the investors, while Sullivan & Cromwell was legal adviser to the financial advisers. KEY POINTS: In this round, Chinese payment giant Ant Financial raised about US$14 billion, a private company’s biggest single fundraising effort globally. The success transformed Ant Financial into the largest fintech firm in the world. According to Simpson Thacher, the exercise involved a complex structure not used in any other fundraising effort. Still, Ant Financial and its legal advisers were able to show global institutional investors that the structure was feasible indeed, despite being unprecedented. Nevertheless, the diversity of the investors created challenges for Ant Financial and its deal counsel to manage. KWM also stressed that the project involved both domestic and foreign financing with great differences in the currency, structure and exit path for financing. As Ant Financial’s business is on the mainland, there were very high requirements on Chinese lawyers’ ability for deal-structuring, negotiating and executing. LEGAL COUNSEL: Commerce & Finance Law Offices and Tian Yuan Law Firm acted as PRC counsel, while Sidley Austin acted as international counsel to Ascletis. Walkers advised Ascletis on Cayman law and Paul Hastings acted for the sponsors. KEY POINTS: Ascletis Pharma is an integrated anti-viral platform, focused on developing and commercializing innovative, best-in-class drugs against HCV, HIV and HBV. In August 2018, Ascletis was listed on the Stock Exchange of Hong Kong. It was the first biotech company to list successfully since the new Hong Kong listing regime took effect in April 2018. This was also the largest IPO globally of a pre-revenue biotech company in recent years. According to Sidley, the biggest challenge was advising on the restructuring of the company, and the drafting of the prospectus, as there were no existing materials at the time. LEGAL COUNSEL: Han Kun Law Offices acted as PRC counsel, to Aurora, Skadden Arps Slate Meagher & Flom acted as US counsel, and Maples and Calder acted as Cayman Islands counsel. Haiwen & Partners and Simpson Thacher & Bartlett were PRC and US counsel to the underwriters. KEY POINTS: Aurora Mobile is a leading mobile big data solutions platform in China. In July 2018, it launched a US$77 million IPO of American Depositary Shares for a Nasdaq listing. LEGAL COUNSEL: Ashurst, Harneys, ONC Lawyers and Sidley Austin acted as legal counsel to C.H.M.T, while Maples and Calder and Wilkinson & Grist acted as legal counsels to CK Asset Holdings. Allen & Overy and Walkers were legal advisers to Morgan Stanley. Walkers also advised Hammer Capital. Linklaters, Ropes & Gray, and Simon Reid-Kay & Associates were also involved in the deal. KEY POINTS: Located in the Central Business District, the Center is Hong Kong’s fifth-tallest building, previously owned by Li Ka-shing and his CK Asset Holdings. In May 2018, it was sold to C.H.M.T. Peaceful Development Asia Property for HK$40.2 billion (US$5.2 billion) in the world’s most expensive real-estate transaction to date for a single building. Ashurst, which advised the issuer on the notes financing in connection with the purchase of the building, says this transaction used an innovative structure to come up with funding. The counsel also had to address the Hong Kong Monetary Authority-imposed limitation on the loan-to-value ratio for property financing. According to Ashurst, the deal structure also involved complicated negotiations as its terms and economics are modelled on a classic property financing, but is packaged as a bond, with two tranches, paying differing interest rates, requiring an inter-creditor agreement and a complex security package. LEGAL COUNSEL: MinterEllison acted as Australian legal counsel, and Paul Hastings as Hong Kong counsel to CDH Investments (CDH). Loeb & Loeb was Hong Kong legal adviser to China Grand Pharmaceutical and Healthcare Holdings (CGP). Allen & Gledhill acted as Singapore counsel on the deal. Watson Mangioni was Australian legal adviser and lead legal adviser to Sirtex. Eversheds Sutherland also advised Sirtex. Mayer Brown team represented Bank of China (BOC)’s Macau branch, the mandated lead arranger and bookrunner for the acquisition financing. ZICO Law acted as Singapore counsel, King & Wood Mallesons as Australian counsel, and JNV Legal as Macau counsel to BOC, Macau branch. Mourant Ozannes advised BOC, Macau branch, on Cayman and BVI laws. KEY POINTS: Sirtex Medical is a global life science company previously listed on the Australian Stock Exchange. CDH Investments (CDH), a major PRC-based private equity and venture capital firm, and its strategic partner China Grand Pharmaceutical and Healthcare Holdings Limited (CGP), took over Sirtex for a total consideration of approximately AUS$1.9 billion (US$1.4 billion) through a Federal Court of Australia- approved scheme of arrangement. According to Eversheds Sutherland, this was a complicated, cross-practice and multi-jurisdictional public M&A deal, requiring close collaboration between companies and law firms. Sirtex initially agreed and substantially progressed a sale to a US cancer company and then received a last-minute and materially higher bid from CDH, which was ultimately successful. Mayer Brown says that the structure of the acquisition financing was unique and comprised a bridge facility, two senior syndicated facilities and a junior syndicated facility, which were documented under three separate facilities agreements. LEGAL COUNSEL: Han Kun Law Offices acted as PRC legal counsel, Skadden Arps Slate Meagher & Flom as international counsel to China Literature. Maples and Calder also served as legal counsel to the issuer. Clifford Chance and Grandall Law Firm advised the underwriters and joint sponsors. KEY POINTS: China Literature, Tencent’s eBook subsidiary, raised HK$8.3 billion (US$1.1 billion) in its IPO in Hong Kong. China Literature offered 151.4 million shares at HK$55 each, representing the top of the company’s projected price range. The IPO was highly oversubscribed, as investors bid for 625 times the shares on offer, making it one of the most sought-after listings for investors in Hong Kong. LEGAL COUNSEL: DeHeng Law Offices served as lead legal counsel on the deal, while ALRUD was legal counsel to China National Gold Group (CNGG). KEY POINTS: Last September, CNGG and JSC West Keys signed contract documents in connection with the Klyuchevskoye gold deposit development project in Russia. Pursuant to the documents, CNGG would purchase a 70% stake in JSC West Keys from India-based private investment firm SUN Group. According to DeHeng, the deal was enabled through the signing of an intergovernmental agreement to make it Russian law. This was because Russia’s Strategic Investment Law explicitly prohibited foreign state-owned enterprises from acquiring, through any transaction, 25% or more shares or voting rights in strategic companies using underground resources of the Russian Federation. At the beginning of the project, DeHeng’s team of lawyers proposed a variety of alternative options from the legal perspective, such as indirect shareholding, nominee shareholding or implementing the deal outside Russia. However, after in-depth discussions, they found it impossible to break through the stricter restrictions that Russia’s Strategic Investment Law imposed on SOEs (as versus restrictions on private investors) even with the most complicatedly structured option. They also found that certain alternative options might be difficult to meet the compliance needs of SOEs. Based on an in-depth study of Russia’s legislation, DeHeng’s team innovatively proposed the idea of enabling the transaction through the signing of an intergovernmental agreement. It also supported the client in communicating with government authorities actively and eventually succeeded in procuring the execution of the Cooperation Agreement between the Governments of the People’s Republic of China and the Russian Federation Regarding the Development of the Klyuchevskoye Gold Deposit. With approval from the State Duma, the Federation Council of Russia and President Vladimir Putin, this agreement created a legal exception to the Strategic Investment Law of Russia, making the project legally exempt under Russia laws. ALRUD completed due diligence of the target companies. It also supported CNGG with the structuring of the acquisition deal, procurement of FAS approval and strategic approval from the Government of Russian Federation for acquisition, and negotiation of the SPA and SHA, including provisions related to further financing of the development of the mine. LEGAL COUNSEL: Zhong Lun Law Firm served as lead legal counsel to acquirer China National Uranium. Pillsbury Winthrop Shaw Pittman advised China National Uranium (CNU) on US laws. Ellis Shilengudwa was CNU’s local counsel in Namibia. Linklaters acted as legal counsel to seller Rio Tinto Group. KEY POINTS: Rio Tinto was a globally leading mining group before starting in recent years to sell non-core assets for strategic adjustment purposes. The Rössing uranium mine, in which Rio Tinto has controlling stake, is the world’s longest-running open-pit uranium mine. Operating since 1976, Rössing has produced the most uranium of any single mine. Rio Tinto transferred its entire stake (i.e. 68.62% equity) in the Rössing uranium mine to CNU in this transaction. Zhong Lun says several arduous tasks had to be solved within a tight schedule. The deal involved complicated structures and payment terms, requiring legal and government approvals from multiple jurisdictions, including the PRC, Hong Kong, UK, Namibia, and the US. The consideration comprised a down-payment and a contingent payment, meaning drafting the trigger conditions to make the contingent payment was challenging. These issues posed severe challenges to lawyers in terms of both expertise and practice experience. LEGAL COUNSEL: Dentons served as legal counsel for acquirer China Power Investment Corporation (CPIC), while Pérez-Llorca had a similar role for seller Eolia. KEY POINTS: Eolia was a leading independent renewable energy supplier in Spain, and the buyer was a large power generation company under CPIC’s control. According to Dentons, the deal was enabled through the acquisition of equity in 25 onshore wind farms and 13 PV power plants in operation and another eight onshore wind farms to be developed in Spain for a price of over €1.4 billion. Dentons says the new-energy acquisition, involving an SOE and a cross-border purchase, required closed attention on many issues. In addition to PRC legal issues, including approvals for overseas investments, foreign-exchange regulations and financial-management requirements for SOEs, special attention necessary for a number of complicated legal matters in Spain, including an electricity tariff mechanism and electricity sales approaches, special subsidies for renewable energy, as well as those in respect of real estate, environmental protection, municipal licensing, labour, antitrust, and national security review. Besides, the acquisition was entitled to the Specific Remuneration Regime with six years as a regulatory cycle, during which varied subsidies would apply in different stages. Accordingly, relevant legal risk disclosures would need to be made and pertinent solutions developed in response to possible changes in policies. The wind farms and PV power plants covered under the deal spanned across several autonomous regions in Spain, including Catalonia, and Leon, which had different regulations, for example over issues like whether government approval was required for change of control. These variations brought additional challenges — from conducting legal due diligence, making legal risk disclosure to developing legal solutions. LEGAL COUNSEL: King & Wood Mallesons acted as PRC counsel, while Freshfields Bruckhaus Deringer served as Hong Kong and US counsel, to China Tower. Commerce & Finance Law Offices and Zhong Lun Law Firm served as PRC counsel, and Clifford Chance served as Hong Kong and US counsel, to the joint sponsors and the underwriters. KEY POINTS: As a company formed through the acquisition of existing tower assets from three operators, China Tower is the largest tower company in the world to date. China Tower raised about HK$54.3 billion (US$6.9 billion) from its Hong Kong IPO, which was the largest in the SAR in the last eight years and also the largest such financing to date in the world’s telecommunications industry. According to King & Wood Mallesons and Zhong Lun, there was no well-established legislation related to the lands used for China Tower’s sites or with the relevant environment assessment procedure. Also, raising concerns of the IPO approval authorities, China Tower’s listing application was unprecedented as it had an enormous number of properties with complex legal ownerships and a large percentage of its transactions had been executed with related parties. Moreover, among China Tower’s indirect shareholders were companies listed in the PRC, Hong Kong and the US. Therefore, proper preparation for the IPO required precise coordination and alignment with shareholder information disclosure and shareholder decision-making procedures. LEGAL COUNSEL: Simpson Thacher & Bartlett acted as legal counsel to Blackstone, while Clifford Chance advised China Investment Corporation (CIC). KEY POINTS: Blackstone sold its pan-European logistics company, Logicor, to affiliates of CIC for €12.25 billion (US$13.8 billion) in one of the biggest private-equity real-estate deals on record. Logicor owns and operates a portfolio of logistics assets. totalling 147 million square feet, in 17 countries with over 70% in the UK, Germany, France and Southern Europe. CIC is a sovereign wealth fund responsible for managing part of China’s forex reserves. According to Simpson Thacher, the deal involved a single transaction sale of assets bought in over 40 separate acquisitions. In addition, the deal involved a single transaction-purchase agreement, with individual transfer agreements in the jurisdictions and security releases in each of them. LEGAL COUNSEL: Slaughter and May advised CIMB. KEY POINTS: CIMB and China Galaxy completed the sale by CIMB to China Galaxy of a 50 per cent interest in CIMB Securities International, the holding company of CIMB’s ex-Malaysia stockbroking business, comprising institutional and retail brokerages, equities research and associated securities businesses across Indonesia, Singapore, Thailand, Hong Kong, South Korea, India, the UK and the US. CIMB Securities International will be rebranded as CGS-CIMB Securities once relevant regulatory approvals are obtained. The 50:50 joint venture marks a Chinese stockbroker’s first foray into Southeast Asia and enables the development of a Pan-Asian brokerage to capitalize on increasing cross-border investments. LEGAL COUNSEL: Commerce & Finance and Paul Hastings acted as PRC and Hong Kong counsel, respectively, for COSCO Shipping Holdings. Walkers advised COSCO Shipping Holdings on BVI laws. 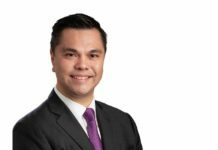 Slaughter and May was Hong Kong counsel to Orient Overseas (International) Limited (OOIL). JunHe and Kirkland & Ellis advised UBS, the financial adviser. KEY POINTS: In June 2018, COSCO Shipping Holdings’ proposal to acquire OOIL passed the review process of the Anti-Monopoly Bureau of the State Administration for Market Regulation. As a conditional voluntary all-cash takeover, the acquisition involved an amount of HK$49.2 billion, a record high for a single M&A transaction in the container-shipping market. Established in the 1960s, OOIL was a family business of Tung Chee-Hwa, the first Chief Executive of the Hong Kong Special Administrative Region. According to Commerce & Finance, to allow OOIL to retain its listing status, the acquisition was done through a voluntary general offer. However, given that a large percentage of OOIL’s shares were being floated internationally, the general offer may face challenges, as minority shareholders may hold different views on the takeover. Besides, as concentration of container-shipping operators has become increasingly obvious in recent years due to the ongoing trend of large-scale M&A activities in the sector, it is unclear how M&A deals of this kind may be considered by regulators in the US and Europe, who were tightening their regulations over antitrust procedures and other considerations. China’s forex controls also add to the difficulties of obtaining approvals for the deal. LEGAL COUNSEL: AllBright Law Offices represented Doublestar as lead legal counsel while Bae Kim & Lee was its South Korea counsel. Lee & Ko was legal counsel to Kumho Tire. Clifford Chance was responsible for antitrust clearance outside China and South Korea. KEY POINTS: Doublestar Group reached a consensus with Kumho Tire’s Korea Development Bank-led consortium of creditors. Pursuant to the consensus, Doublestar would build 45% controlling stake in Kumho Tire through a capital increase with the aim of making joint efforts to develop the South Korean tyre-maker. The capital increase amounted to about RMB4 billion (US$580 million). According to AllBright, the project covered multiple jurisdictions, such as South Korea, China, the US, Vietnam and Australia. In addition to industry-specific, legal, financial and other professional concerns, also affecting the project were economic, political, cultural, and social factors in China and South Korea. After being on the edge of termination, the project did not reach closing until two differently structured transactions were completed. As part of the first transaction, under which Doublestar Group acquired the existing shares of Kumho Tire from the latter’s creditors, an equity-transfer agreement was signed in March 2017 between Doublestar Group and the transferring creditors. However, in September 2017, Doublestar Group and the creditors announced that they had to terminate this agreement without further liabilities due to the decline in Kumho Tire’s results for 1Q and 2Q 2017, which triggered the valuation adjustment mechanism. In the second transaction, commencing in March 2018, Kumho Tire’s creditors decided to reintroduced Doublestar Group as the major shareholder through a capital increase. Doublestar Group eventually took control of a 45% equity interest in Kumho Tire after buying new shares the latter had issued for a price of about RMB4 billion. However, the project got into difficulties again due to strong protests from the trade union of Kumho Tire. Fortunately, the project eventually reached closing after consent from the trade union owing to efforts of the parties concerned. LEGAL COUNSEL: Simpson Thacher & Bartlett acted as US and Hong Kong legal counsel to issuer Ganfeng Lithium, while Llinks Law Offices was the PRC legal counsel to the issuer. Freshfields Bruckhaus Deringer and Jia Yuan Law Offices acted as international and PRC legal counsel to the underwriters. KEY POINTS: Ganfeng Lithium, China’s largest and the world’s third-largest lithium compounds producer, secured a listing on the Shenzhen Stock Exchange in 2010. Its products are widely used in several areas, particularly in the manufacturing of electric vehicles, chemicals and pharmaceuticals products. In October 2018, Ganfeng Lithium launched an IPO in Hong Kong to raise about HK$3170 million (US$404.5 million). With the IPO, Ganfeng Lithium became the first “A+H” synchronously listed company in China’s lithium industry. According to Llinks, the approach of first issuing A shares and then H shares is generally adopted by large SOEs. Ganfeng Lithium’s H-share issuance is an example of A-share-listed non-state-owned company’s IPO of H shares. Simpson Thacher says investors have sought exposure to lithium in recent years because of its role as a key ingredient in manufacturing rechargeable batteries used in electric vehicles. LEGAL COUNSEL: Clifford Chance, Davis Polk & Wardwell, Kirkland & Ellis, Skadden Arps Slate Meagher & Flom, and WongPartnership acted as legal counsel to the acquirer. Allen & Gledhill was Singapore counsel to GLP. Morrison & Foerster also represented GLP as international counsel. Walkers acted as Cayman Islands counsel to the mandated lead arrangers in relation to the financing supporting the take-private acquisition. Mourant Ozannes provided BVI and Cayman Islands banking and corporate advice in connection with the acquisition. BMA Law, Broad & Bright, Fangda Partners, JunHe, and Linklaters also participated in the deal. KEY POINTS: GLP is a leading global provider of logistics. Pursuant to a scheme of arrangement, a consortium of investors, led by property developer China Vanke, acquired GLP’s all issued and paid-up ordinary shares. To complete the privatization process, GLP delisted from the Singapore Exchange. This US$11.64 billion buyout and privatization of GLP ranks as one of the largest buyouts in Asia. The consortium, Nesta Investment Holdings, included HOPU Investment Management and Hillhouse Capital Group, China Vanke, Bank of China Group Investment and Shanghai Media Group. According to JunHe, the deal involved several listed companies, and the requirements on compliance and information disclosure were complex. LEGAL COUNSEL: Conyers Dill & Pearman acted as Cayman Islands legal counsel, Drew & Napier as Singapore counsel, Jingtian & Gongcheng as PRC counsel, Lee and Li as Taiwan counsel, and Sidley Austin as Hong Kong and US counsel to issuer Haidilao. Clifford Chance served as Hong Kong and US legal counsel, and Grandall Law Firm as PRC counsel to the joint sponsors, joint global coordinators and the underwriters. KEY POINTS: Haidilao is a fast-growing hot-pot cuisine-focused Chinese restaurant brand, famous for its attentive services and pleasurable dining experiences. In its Hong Kong IPO, Haidilao raised HK$7.56 billion (US$963 million) on pricing its shares at the top of an indicated range, which makes it the fifth largest listing in the SAR in 2018. According to Jingtian & Gongcheng, Haidilao International Holding is an overseas holding platform for Haidilao. Its legal services involved the construction of Haidilao’s overseas structure and the reorganization of its overall domestic business and structure, including return on investment and red-chip structure. LEGAL COUNSEL: Maples and Calder acted as Cayman Islands counsel to Innovent, while Skadden Arps Slate Meagher & Flom served as US and Hong Kong counsels. Han Kun Law Offices acted as PRC legal counsel to Innovent. Commerce & Finance Law Offices was PRC counsel, and Davis Polk & Wardwell was US and Hong Kong counsel to the underwriters. KEY POINTS: Innovent Biologics is a China-based biopharmaceutical company, which develops and commercializes drugs. It was listed on the main board of the SEHK on 31 October 2018 and the net proceeds from the IPO amounted to about HK$3.156 billion (US$403.1 million) prior to the exercise of the over-allotment option. Innovent was the fourth biotech group to list in Hong Kong since the listing rules changed. According to Yahoo Finance, it was the biggest biotech offering in Hong Kong last year. LEGAL COUNSEL: Jingtian & Gongcheng served as legal counsel on the issuance. KEY POINTS: Inter Milan officially announced its plan to issue abroad guaranteed bonds of €300 million for the Italian football club’s working capital needs. The bonds reach maturity in 2022. According to Jingtian & Gongcheng, the issuance was structured with full consideration to the offshore structures of Inter Milan and its Chinese owner Suning Group. An unprecedented financial structure, supported by extremely risk-resistant financial fundamentals, was innovatively created to ensure that bondholders would be able to receive proper income. The issuance provided considerable revenue to Inter Milan’s financial statements, allowing the club to keep its routine operations healthy and steady without reliance on shareholder loans, thereby enabling it to balance financial burdens effectively. LEGAL COUNSEL: Jingtian & Gongcheng served as PRC counsel to iQiyi, while Skadden Arps Slate Meagher & Flom acted as its US counsel. Walkers served as Cayman Islands and BVI counsel to the company. Han Kun Law Offices and Davis Polk & Wardwell acted as PRC and US counsels, respectively, to the underwriters. KEY POINTS: iQiyi is the largest video and entertainment service platform in China, focusing on e-commerce, games, movie tickets, among other things. In March 2018, iQiyi listed on Nasdaq, raising US$2.25 billion, following the largest US IPO out of Asia in the first quarter of last year. Han Kun says the IPO involved highly complicated legal research due to the Chinese administrative authorities’ special supervision of the Internet video industry. Jingtian & Gongcheng revealed that the transaction covered multiple practice areas due to the diversified service offerings of iQiyi, especially in the fields of Internet and pan-entertainment, which, for example, can be subcategorized into value-added telecommunications services, Internet information service-related businesses, Internet-based audio-visual services, production and management of movies, TV dramas and radio and TV programmes, online advertising, online publications, online games, online BBS services, e-commerce and online live broadcasting. Given iQiyi’s focus on cultural dissemination, the transaction also involved the holding of many intellectual properties, as well as various licences where the company was licensor or licensee, which inevitably gave rise to relevant disputes. Therefore, the counsels needed to keep in close communication with the client so as to help identify, solve and disclose relevant legal concerns. LEGAL COUNSEL: Skadden Arps Slate Meagher & Flom served as legal counsel to Key Safety Systems, while Freshfields Bruckhaus Deringer, Nagashima Ohno & Tsunematsu, Weil Gotshal & Manges served as legal counsel to Takata. Harneys and Herbert Smith Freehills acted as offshore and onshore counsels to Deutsche Bank in relation to the financing of the acquisition. Paul Weiss Rifkind Wharton & Garrison advised investment-management firm PAG. Nishimura & Asahi advised Honda Motor. KEY POINTS: Auto components maker Key Safety Systems (KSS) completed the US$1.6 billion acquisition of Japanese air-bag maker Takata Corp and rebranded the combined entity as Joyson Safety Systems. A consortium, involving KSS Chinese parent company Ningbo Joyson Electronic Corp and PE firm PAG, provided funding to acquire most of Takata’s operations. This was reported to be a Chinese entity’s largest acquisition on record of a Japanese company. According to Paul Weiss, the acquisition of Takata assets was funded with a combination of debt and equity. Skadden also says the acquisition involved the sale of assets through coordinated restructuring proceedings in the US and Japan, as well as an out-of-court sale of the assets of certain Takata subsidiaries in Germany and China. 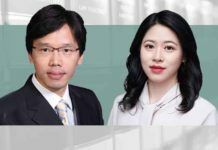 LEGAL COUNSEL: Han Kun Law Offices and Skadden Arps Slate Meagher & Flom, respectively, served as PRC and international counsel to IPO aspirant Meituan Dianping, while Maples and Calder acted as its Cayman Islands counsel. Davis Polk & Wardwell and Zhong Lun Law Firm, respectively, served as international and PRC counsel to the sponsors and underwriters. Goodwin Procter represented Digital Sky Technologies (DST Global), the pre-IPO investor. KEY POINTS: Last September, Meituan Dianping, an e-commerce platform of life services, raised about US$4.2 billion from an IPO in Hong Kong. It was the second “new-economy” company, after Xiaomi, to go public in Hong Kong using a dual-class share structure. According to Zhong Lun, Meituan had nearly 100 subsidiaries engaged in a wide range of businesses. Meituan’s acquisition of Mobike last April expanded the scope of the counsel’s work. In addition to the existing tasks related to Meituan, the counsel had to perform legal due diligence on Mobike, while tackling legal issues arising during the M&A process. Furthermore, as Meituan’s businesses cover all aspects of daily life, there have been frequent reports of either competitors or upstream and downstream partners defaming the company or lodging complaints against it to Hong Kong Exchanges & Clearing in the mid and later stages of the IPO project. The counsels needed to assist the client in responding to false reports and related complaints in a timely manner to ensure the smooth progress of the IPO process. LEGAL COUNSEL: Grandall Law Firm acted as PRC counsel to Nanjing Xinjiekou Department Store (also known as Nanjing Cenbest), while DLA Piper served as its international counsel. Hogan Lovells acted as legal counsel to Dendreon Pharmaceuticals. Baker McKenzie acted as legal counsel for China CITIC Bank, which provided financing for the M&A deal. KEY POINTS: Sanpower Group is a large modern enterprise focused on financial investments, trading, cultural media, information services and real-estate development. In June 2017, Sanpower completed the acquisition of Dendreon for US$819 million through the latter’s subsidiary Shiding (Hong Kong). Subsequently, group member Nanjing Cenbest acquired from parent Sanpower 100% equity in Shiding (Hong Kong), Dendreon’s special-purpose vehicle, through the issuance to Sanpower 180 million shares in Nanjing Cenbest to pave the way for the transfer of Dendreon to Nanjing Cenbest. The target Dendreon, was owner of Provenge, the first and the only cell-based immunotherapy drug for prostate cancer approved by the US Food and Drug Administration. It was the most expensive acquisition in the pharmaceuticals sector between Chinese and US companies against a backdrop of an increasingly stringent review of Sino-US investing activities. Grandall says the deal was completed within a very tight schedule because the seller had to urgently dispose of some assets to meet liquidity needs. Handling the US approval process without contradiction to the PRC securities rules was also a big challenge, as the transaction took place during an intense trade war between China and the US. LEGAL COUNSEL: Han Kun Law Offices acted as PRC counsel to NIO, while Skadden Arps Slate Meagher & Flom served as its US legal counsel. Grandall Law Firm and Latham & Watkins acted as PRC and US legal counsel, respectively, to the underwriters. Maples and Calder acted as Cayman Islands legal counsel to NIO. KEY POINTS: Chinese premium electric vehicle manufacturer NIO launched its US IPO for a listing on the New York Stock Exchange. In becoming the first Chinese electric vehicle company to list in the US, NIO raised approximately US$1 billion. Founded in November 2014, NIO designs, jointly manufactures, and sells smart and connected premium electric vehicles, driving innovations in next-generation technologies in connectivity, autonomous driving and artificial intelligence. According to Latham, NIO had only been producing cars two to three months prior to the IPO, and yet was able to raise significant capital in difficult market conditions. LEGAL COUNSEL: Clifford Chance and Dias Carneiro Advogados were legal counsel to China Development Bank (CDB), which holds one of the largest individual credits of all of Oi’s creditors. Among legal counsels to Oi are Barbosa Müssnich Aragão; Basilio Advogados; Rosman Penalva Souza Leão Franco Vale and White & Case. KEY POINTS: Oi is Brazil’s largest fixed-line telecoms carrier. While the company managed to grow from 2007 and beyond, its push for expansion came to an abrupt halt. In June 2016, Oi filed for Brazil’s largest ever bankruptcy protection. In December 2017, Oi confirmed that it had completed the restructuring of its financial debt, as set out in the Judicial Reorganization Plan, which creditors approved at a general creditors meeting and confirmed by the 7th Business Court of the Capital District of the State of Rio de Janeiro. According to Dias Carneiro, CDB holds one of the largest individual credits among all creditors, and successfully restructured its credit with no haircut within long-lasting negotiations. LEGAL COUNSEL: King & Wood Mallesons acted as Hong Kong and Australian legal counsel to new OPUS subsidiary Left Field Printing, while Conyers Dill & Pearman served as Bermuda counsel. Cleary Gottlieb Steen & Hamilton was Hong Kong legal counsel, and Piper Alderman was Australian counsel to the sole sponsor and the underwriters. KEY POINTS: Australian printing solutions and services provider OPUS Group moved, through a first-of-its-kind scheme of arrangement, its listing venue of newly incorporated Bermudan holding entity Left Field Printing Group from the Australian Securities Exchange to the Main Board of The Stock Exchange of Hong Kong. According to King & Wood Mallesons, this was the first successful delisting of an Australian company from the ASX to be made in conjunction with the listing of a Bermudan holding entity on the SEHK. Through the transaction, OPUS Group shareholders transferred all their shares to Left Field Printing in exchange for shares in Left Field Printing. This was effected by way of a scheme of arrangement between OPUS Group and its shareholders. LEGAL COUNSEL: : Clifford Chance acted as Hong Kong and US counsel to IPO candidate Ping An Healthcare and Technology. Maples and Calder served as Cayman Islands counsel, while Davis Polk & Wardwell acted as Hong Kong and US counsel to the underwriters and Grandall Law Firm as their PRC counsel. Haiwen & Partners acted as PRC legal counsel to the issuer. KEY POINTS: Ping An Healthcare and Technology Company, the largest online healthcare platform operator in China, embarked on its HK$8.77 billion (US$1.12 billion) IPO in Hong Kong. The company, also known as Ping An Good Doctor, delivers healthcare services, such as online family doctors and health mall services, through its mobile platform. Retail investors submitted bids to buy more than 650 times the shares that the company had made available, making it one of Hong Kong’s biggest IPO at the time of listing last year. LEGAL COUNSEL: King & Wood Mallesons acted as PRC legal counsel to listing candidate Qingdao Haier, while Linklaters was international counsel, and Orrick Herrington & Sutcliffs was Germany and US counsel. Clifford Chance and Zhong Lun Law Firm acted as international and PRC counsel, respectively, to underwriter Deutsche Bank. KEY POINTS: In October 2018, Qingdao Haier raised over €278 million (US$319 million) from its IPO for a listing on the CEINEX (China Europe International Exchange) D-share Market. The CEINEX D-share market is an integral part of the EU regulatory market of the Frankfurt Stock Exchange and follows its highest level of transparency requirements. Being the first PRC-listed company approved by the Frankfurt Stock Exchange for direct public offering and listing of shares and also the first PRC-listed company succeeding in going public on and raising funds from a European exchange, Qingdao Haier was the first to adopt the “A+D” shares model. Zhong Lun says the biggest challenge it faced was to solve the differences in legislation and practices between the Chinese and German capital markets, which were operating in stunningly different securities regulatory environments. Moreover, as it was the first D-share IPO, there were no precedents to draw on, whether at regulation or project execution level. The counsel had to tackle many new legal issues never resolved previously, such as the D-share creation procedure, the procedures for convening shareholders meeting, and the tax withholding on behalf of D-shareholders. LEGAL COUNSEL: Zhong Lun Law Firm and Weil Gotshal & Manges acted as legal counsel to Shanghai Pharmaceuticals Holding (Shanghai Pharma). Jones Day and JunHe advised Cardinal. KEY POINTS: Shanghai Pharma, one of China’s biggest pharmaceutical companies, acquired US pharmaceutical company Cardinal Health’s China operations for about US$557 million. This was the largest healthcare deal in East Asia in 2017. The separation of the target’s China pharmaceutical distribution business was not only from the rest of Cardinal global business, but also certain specialty businesses that Cardinal was keeping within China. According to Weil, the project involved multiple jurisdictions, namely the US, the PRC and Malaysia. LEGAL COUNSEL: King & Wood Mallesons advised on the acquisition. KEY POINTS: Last May, Weichai Power, an automotive and equipment manufacturing group in China, entered into a framework agreement in connection with equity purchase and cooperation with Ceres Power, a UK-based developer of fuel-cell technology. Weichai Power would acquire shares and options of Ceres Power, and the two parties would jointly develop and launch the Solid Oxide Fuel Cell (SOFC) extended range system, expected to contribute to the fast-growing electric bus market in China. The parties would also establish a joint venture in Shandong Province committed to producing and selling fuel cell systems. LEGAL COUNSEL: A&L Goodbody served as legal counsel to WuXi Biologics. KEY POINTS: WuXi Biologics is a leading global open-access biologics technology platform, offering end-to-end services in order to accelerate the development and manufacturing of biologics. As the Irish prime minister announced last April, WuXi Biologics would invest €325 million (US$400 million) and create 400 new jobs over five years in a new biologics drug substance manufacturing facility in Mullagharlin, Dundalk, County Louth. According to A&L Goodbody, this is a complex and high-profile project that will extend over several years. LEGAL COUNSEL: JunHe acted as PRC counsel to Xiaomi, while Maples and Calder was its Cayman Islands counsel, and Skadden Arps Slate Meagher & Flom was the Hong Kong and US counsel. Clifford Chance acted as Hong Kong and US counsel to the underwriters, and Jingtian & Gongcheng served as their PRC counsel. Goodwin Procter represented Morningside Venture Capital as the selling shareholders in the IPO. KEY POINTS: Chinese electronics company Xiaomi’s Hong Kong IPO raised HK$36 billion (US$4.7 billion), making it the world’s biggest tech IPO since Alibaba’s US IPO in 2014. 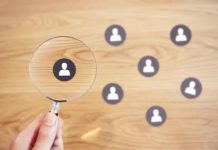 It has also been the first dual-class listing of weighted voting rights shares in Hong Kong since the SEHK approved the listing of such shares. According to Skadden, it assisted Xiaomi to obtain a unique waiver in relation to its share-option scheme, which is important for innovative technology companies relying on equity incentive plans to attract and retain talents. In addition, Xiaomi’s unit has been allowed to adopt a share-option scheme, which, if fully implemented, may result in the spin-off of the subsidiary. LEGAL COUNSEL: Freshfields Bruckhaus Deringer advised Geely Group in this deal. KEY POINTS: Geely Group purchased a 9.9% stake in Daimler through open market transactions. The purchase means China’s largest privately owned automaker is now the biggest shareholder in Germany’s Daimler. According to Freshfields, this was among the most complex and sophisticated acquisition structures that a Chinese bidder had used. LEGAL COUNSEL: Jingtian & Gongcheng represented CITIC Securities. KEY POINTS: At the time when the stock markets were unusually volatile in 2015, the China Securities Regulatory Commission (CSRC) opened a case and launched an investigation of China’s largest securities company, CITIC Securities. The CSRC concluded its investigation in May 2017 and issued CITIC Securities an Advance Notice of Administrative Penalties, holding that it did business for Citadel (Shanghai) Trading Company in a manner that violated regulations, and intended to impose upon it fines and forfeitures totaling RMB370 million. Jingtian & Gongcheng represented CITIC Securities in the hearings arranged by the CSRC. After the hearings, the CSRC ultimately found in November 2018 that the facts of the violation by CITIC Securities did not hold up and decided to conclude the case. Jingtian & Gongcheng explained that the case was the first time that the CSRC proposed to impose administrative penalties for the type of violation involved in the case and was also one of the rare cases in which the CSRC ultimately did not impose penalties after opening a case and issuing an Advance Administrative Penalty Notice. LEGAL COUNSEL: Orrick Herrington & Sutcliffe acted for the respondent Advanced Technology & Materials (AT&M). K&L Gates acted for Qingdao Yunlu Energy Technology (Yunlu), another respondent. KEY POINTS: In October 2017, the US International Trade Commission (ITC) announced its launch of an investigation (337-TA-1078) concerning certain amorphous metal and products. The complainants, Hitachi Metals, and its US subsidiary, Metglas, believed that five Chinese companies – including AT&M and Yunlu – engaged in unfair competition by manufacturing, selling and exporting into the US certain amorphous metal products made with allegedly misappropriated trade secrets owned by the complainants. According to Orrick, their team’s innovative approach to the case focused on combating the deficiencies in the complainants’ allegations of misappropriation, including neutralizing the evidence – which was acquired from the undercover sting operation. K&L Gates also convinced the complainants and the Office of Unfair Import investigations that the complainants’ allegations were completely meritless. Orrick says this is one of the very few – if not the only known – trade secret cases that a Chinese corporate respondent won before the ITC. LEGAL COUNSEL: East & Concord Partners and The Law Chambers of Madhurendra Nath Jha represented the Chinese photovoltaic industry in presenting a no injury defense. KEY POINTS: In July 2017, India’s Ministry of Commerce and Industry published an announcement, launching an anti-dumping investigation on photovoltaic cells and components imported from Chinese mainland, Taiwan and Malaysia. According to East & Concord, in the course of responding to the case, East & Concord’s team submitted defense arguments to the Indian investigating authorities on the behalf of the entire Chinese photovoltaic industry on multiple occasions, rebutted the arguments of the parties that instituted the action and participated in the hearings on the behalf of the entire industry. Once they had reviewed the data of the parties that instituted the action and the content of the industry injury defense submitted by the Chinese party, the Indian investigating authorities were already leaning toward rendering a no injury ruling. Ultimately, India published an announcement in March 2018, deciding to terminate the anti-dumping investigation. East & Concord stated that the success in the case not only safeguarded the interests of the Chinese photovoltaic industry and enterprises, but also provided experience and lessons for the Chinese photovoltaic industry and enterprises in responding to Indian trade relief investigations. LEGAL COUNSEL: AllBright Law Offices represented the China Chamber of International Commerce in presenting a no injury defense. KEY POINTS: In June 2017, the EU launched an anti-dumping investigation on low carbon ferrochrome products originating from China, Russia and Turkey. The China Chamber of International Commerce actively organized the entire industry in presenting a defense. Under the efforts of numerous parties, the EU officially terminated the investigation in July 2018. AllBright stated that the legal team approached the issues from such aspects as the scope of the products being investigated, the state of the EU industry and the interests of the EU, putting forward a powerful defense, in particular, using information of the complainants that is publicly available to substantiate that the state of the industry in the EU countries was a consequence arising from their own market-based price revision policies, thereby ultimately compelling the complainants to withdraw their complaint and the EU to terminate the investigation. Furthermore, AllBright explained that, against a background where obstacles are being erected around the world against the Chinese iron and steel industry, this was the only EU anti-dumping investigation in the last three years in which China achieved a complete victory. LEGAL COUNSEL: Jincheng Tongda & Neal, and Grunfeld, Desiderio, Lebowitz, Silverman & Klestadt (GDLSK) represented the Fufeng Group in the investigations. KEY POINTS: In June 2016, the US Department of Commerce launched the original anti-dumping investigation of xanthan gum products from China, with Jincheng Tongda & Neal and its US cooperating firm, GDLSK, participating in the original investigation as the representatives of Neimenggu Fufeng Biotechnologies Co., Ltd. and Shandong Fufeng Fermentation Co., Ltd. (hereinafter collectively referred to as the Fufeng Group). In July 2013, the US Department of Commerce published its final ruling, wherein the Fufeng Group won a duty rate of 12.9 percent, much lower than that of other Chinese enterprises. However, the Fufeng Group still appealed the final ruling of the Department of Commerce to the United States Court of International Trade, initiating a court trial procedure. Between 2013 and 2018, the Fufeng Group was involved in three anti-dumping reviews and won a zero duty rate on all three occasions. In September 2018, the United States Court of International Trade rendered a judgment removing the Fufeng Group from the US’s xantham gum anti-dumping duty order. In October 2018, the US Department of Commerce published an announcement ultimately determining a dumping margin of zero for Fufeng and cancelled the anti-dumping order on the Fufeng Group. Jincheng Tongda & Neal stated that, through the complete victory in the suit, the Fufeng Group not only solidified and expanded its share of the US xantham gum market, but also safeguarded the fine image of Chinese enterprises in the US market. LEGAL COUNSEL: Tian Yuan Law Firm represented the Hainan Provincial Price Bureau at appeal. KEY POINTS: In 2017, the Hainan Provincial Price Bureau imposed administrative penalties on a number of fish feed producers for vertical price control acts. One of them, Hainan Yutai Science and Technology Feed, dissatisfied with the administrative penalties, instituted an administrative action in the Haikou Municipal Intermediate People’s Court. The Hainan Provincial Price Bureau lost at first instance, the judgment finding that the Hainan Provincial Price Bureau was wrong in its application of the law, following which the Hainan Provincial Price Bureau appealed to the Hainan Provincial High Court. Appointed by the National Development and Reform Commission, Tian Yuan represented the Hainan Provincial Price Bureau at the appeal stage. Tian Yuan explained that its legal team, in respect of how to correctly understand application of the law, carried out an in-depth reading of the laws from multiple perspectives, such as the legislative objective, the original intent of the legislation, the legal framework, the meaning of the legal provisions, etc., and did a horizontal comparison of law enforcement with respect to horizontal monopoly agreements in 10 key jurisdictions around the world, ultimately prevailing at appeal, and having the judgment at first instance quashed. Tian Yuan stated that this was the first case in China that law enforcement against a horizontal monopoly agreement was challenged in an administrative action. The outcome of the case has determined the future direction for law enforcement in respect of horizontal monopoly agreements in China and will have a wide ranging bearing on the business models and compliance strategies of distribution channel enterprises. LEGAL COUNSEL: : Wanhuida Peksung represents Anhui GuoRun Tea Industrial in the court proceedings. KEY POINTS: The Keemun Black Tea Association (KBTA) filed an application in 2004 for the registration of the name “祁门红茶” (Keemun Black Tea) as a certification trademark, which exclusively designated Qimen County as the growing region of Keemun Black tea. Anhui GuoRun Tea Industrial (GuoRun), a producer of Keemun tea, filed an opposition in 2008 and submitted a proof stating that the Keemun growing region also includes areas of Dongzhi, Guichi and Shitai. After KBTA’s appeal to Beijing IP Court, the result was not in favour of Guorun. GuoRun then appealed to the Beijing High Court. The court of appeal opined that the geographical indication (GI) trademark applicant bears a higher obligation and shall act in good faith when submitting filing documents. The court found that notwithstanding the clear knowledge of the existing controversies over the determination of the Keemun production region, KBTA had failed to inform the China Trademark Office, which breached the good faith principle and fell under the circumstances as provided by Article 41.1 of the Trademark Law (2001). In December 2017, the Beijing High Court overturned the first instance judgment. KBTA appealed to the Supreme Court for a retrial, but was rejected. According to Wanhuida, this is the first administrative litigation involving a dispute over the geographical range of a GI mark. The case has emphasized the very general concept of good faith. LEGAL COUNSEL: Zhong Lun Law Firm represented PKU Healthcare Corporation (PKU Healthcare) in responding to the lawsuit. KEY POINTS: PKU Healthcare failed to promptly disclose the existence of an equity proxy holding agreement between its shareholders and third parties, for which it was assessed administrative penalties by the CSRC in May 2017, triggering the institution by a large number of investors of a civil damages suit against it for false securities statements. In August 2018, the First Intermediate People’s Court of Chongqing Municipality rendered its first instance judgment in the case, dismissing all of the investors’ claims. As the counterparties did not appeal, the judgment at first instance became legally effective. In its judgment, the court held that the failure to disclose information in the case was not material, and as such would not affect investors’ investment decisions, and even if the failure to disclose the information constituted a false statement, it would not induce investors to buy the stock. The purchase of stock by investors was mainly influenced by the A share bull market which started in the second half of 2014. Accordingly, as the investment decision-making and investment losses of the plaintiffs were unrelated to the failure to disclose the information, PKU Healthcare was not under obligation to pay damages. Zhong Lun stated that, given the difficulty that a listed company faces in adducing evidence to show that the investment decision-making by investors is not induced by false statements, cases in which a court, after a lawsuit by investors is triggered following the assessment of administrative penalties against a listed company, dismisses all of the investors’ claims, particularly when they are dismissed on the grounds of “no direct connection”, are extremely rare. Accordingly, this case will have reference and guiding significance in similar cases in future. LEGAL COUNSEL: Wintell & Co represented PICC Shipping Insurance Operation Center. KEY POINTS: In May 2011, Sanfu took out from the PICC Shipping Insurance Operation Center shipbuilding insurance on the building of a ship, the terms of which expressly stated that the scope of insurance liability included “loss to any part of the insured ship arising due to a design error”, and exemption of liability included “fines specified in the building contract and indirect losses arising due to a refusal to accept or other reason”. The empty ship test conducted before the ship was essentially completed showed that its deadweight tonnage at a draft of 8.25 meters was more than 900 tons less than that specified in the design contract. After discovering this problem, Sanfu executed a memorandum with the buyer of the ship in March 2012, agreeing to reduce the price by US$2.86 million. After actual delivery of the ship, Sanfu filed an insurance claim with the PICC Shipping Insurance Operation Center in July of the same year for the above mentioned loss suffered due to the price reduction, but was refused. Subsequently it instituted a legal action. Both the Shanghai Maritime Court, at first instance, and the Shanghai Municipal Higher People’s Court, at appeal, held that the economic loss incurred by Sanfu due to the design error in the draft of the ship fell within the scope of the shipbuilding insurance. Dissatisfied with the judgment, the PICC Shipping Insurance Operation Center applied to the Supreme People’s Court for a retrial. At retrial, the Supreme People’s Court held that the shipbuilding materials still had not been moved to the building berth when Sanfu took out the insurance, meaning that the ship was far from being a “ship” for the purposes of the Maritime Law, and the insured incident in the case and the cause thereof occurred at the building and design stages before the ship was essentially completed. Accordingly, the application by the courts at first instance and appeal of the provisions of the Maritime Law on marine insurance was wrong and should be corrected. Furthermore, the insured and the ship buyer had separately reached agreement on compensation outside the shipbuilding contract, exceeding what could have reasonably been anticipated by the parties to the insurance contract at the time of its formation, so the insurer had the right to refuse to pay indemnities. Accordingly, it revised the judgment, ordering the PICC Shipping Insurance Operation Center to compensate for Sanfu’s losses in the amount of a little more than RMB5.64 million (approximately US$830,000) and interest thereon. Wintell stated that, in this case, the Supreme Court actively addressed a legal issue that had previously been the subject of hot debate in the shipbuilding industry and insurance industry for a long time, and the same would have a positive impact in guiding courts nationwide in impartially trying similar dispute cases, regulating the performance acts of relevant market entities and promoting the stable and healthy development of the marine insurance industry. LEGAL COUNSEL: Jincheng Tongda & Neal represented Sinovel in this case. KEY POINTS: AMSC, an equipment manufacturer whose main business is the sale of wind turbine design licenses and electronic modules for electric power, has been in a long-term cooperative relationship with the China listed wind turbine manufacturer Sinovel. The dispute between the parties had its beginnings in 2011, involving litigation and arbitration in three jurisdictions, China, the US and Austria. The case involved alleged use of illegitimate means to steal trade secrets. In July 2015, AMSC and its affiliates sued Sinovel and three of its employees in the Beijing Intellectual Property Court for infringement of trade secrets and software copyrights. The subject amount was approximately RMB2.9 billion, the largest amount to date in a single intellectual property dispute in China. After many years of talks and negotiations, in July 2018, Sinovel executed a Settlement Agreement with AMSC, Suzhou AMSC Superconductor Co. Ltd. and AMSC Austria GMBH under which Sinovel was required to pay US$57.5 million to AMSC. Performance of the Settlement Agreement by the parties has progressed smoothly. Jincheng Tongda & Neal stated that, against the background of the trade frictions between China and the US, this series of cases points to a new trend in the competition between Chinese and American enterprises and also reflects the great value of intellectual property in international competition. LEGAL COUNSEL: AllBright Law Offices represented the China Jushi Group. KEY POINTS: The China Jushi Group is the world’s largest fiberglass producer, and in considering its global strategic layout, resolving trade barriers became one of the issues. By 2017, the Jushi Group had already brought three production lines on stream in Egypt, becoming the biggest Chinese investment in Egypt. However, in May 2017, the Turkish Ministry of Trade announced that it was launching an anti-dumping investigation of Egyptian fiberglass products, which would have a bearing on the safety of the Jushi Group’s investments in Egypt. AllBright stated that, in contrast to China’s treatment as a non-market economy, Turkey and Egypt apply the rules for normal WTO members. AllBright’s team comprehensively analyzed Egypt’s and Jushi’s data, information and evidence, overcame the differences among the legal systems and accounting principles of China, Turkey and Egypt and used the large fluctuations in the US dollar exchange rate during the period under investigation as the point of attack, successfully showing to the Turkish investigating authorities during the review stage that the products Jushi Egypt exported to Turkey were not being dumped. The Turkish Ministry of Trade ultimately published an announcement in September 2018, announcing that it was terminating the anti-dumping investigation of fiberglass reinforced materials originating from Egypt. The Jushi Group’s Egyptian company achieved a complete victory after a case which stretched out over close to one and a half years. LEGAL COUNSEL: Corner Stone & Partners represented Wyeth from 2013 onward. KEY POINTS: The trademark rights holder, Wyeth LLC (Wyeth), is a Fortune 500 company that has been heavily involved in the Chinese infant and baby nutrition market for more than 30 years, whereas the pirate registrant, Guangzhou Wyeth Maternal and Child Supplies Co, Ltd. (Guangzhou Wyeth), is a rising star in the infant and baby item sector in China. The parties have been engaged in a running battle revolving around the trademarks “惠氏” and “Wyeth” for close to 16 years, a case that finally concluded with Wyeth successfully protecting its trademarks. Commencing with the approval of the registration of the disputed trademarks in 2002, Wyeth successively filed an objection, instituted an objection review and instituted an administrative action in respect of the trademarks, all of which proved unsuccessful. Subsequently, the case underwent a second round of review and adjudication by the Trademark Review and Adjudication Board (TRAB) and trial at first instance and appeal, all ending with Wyeth’s claims being dismissed. However, the case hit a turning point in April 2015. The TRAB rendered a new ruling, holding that Guangzhou Wyeth had the intent of piggybacking on another’s well-known brand to engage in unfair competition or seek illegal gains, constituting the use of other illegitimate means to secure registration as specified in the Trademark Law. On this basis, the TRAB ruled to invalidate the disputed trademarks. Subsequently, Guangzhou Wyeth appealed to the Beijing Intellectual Property Court and Beijing Municipal Higher People’s Court in succession, both of which were dismissed. Corner Stone stated that there were numerous difficulties involved in the case, and during the long years involved, the Trademark Law underwent amendment and the intellectual property courts were established. The Corner Stone team organized and submitted a large quantity of material evidence and successfully defeated the “non bis in idem” restriction, allowing the case to be heard anew by the TRAB and the courts and causing legal provisions that had not been upheld in the preceding procedures to be supported by evidence, providing a factual basis for the new hearings and support by the TRAB and the courts. LEGAL COUNSEL: AllBright Law Offices was counsel for AP Moller – Maersk (Maersk) in the litigation. KEY POINTS: In June 2014, Zhejiang Longda Stainless Steel was shipping stainless steel from Ningbo Port in China to the Port of Colombo in Sri Lanka and, after accepting the booking, Maersk carried the cargo in question. Less than 48 hours away from the port of destination, Longda notified Maersk to return the cargo or change ports. Subject to the laws of the port of destination, Maersk could not satisfy Longda’s request to return the cargo or change ports and informed the shipper that it needed to apply to the local customs for the return of the cargo once it had been unloaded at the port and cleared customs. Subsequently, due to the long detention of the cargo at the port of destination, the local customs authority auctioned it off, after which Longda filed a claim against Maersk on the grounds that the cargo was lost. In its judgment at first instance, the Ningbo Maritime Court dismissed Longda’s claims. However, the Zhejiang High Court, the court of appeal, held that Maersk failed to care properly for the cargo at the port of destination and ordered it to bear damages equivalent to 50 per cent. Dissatisfied, Maersk subsequently applied to the Supreme People’s Court for a retrial. Ultimately, the Supreme People’s Court held that the shipping company’s inability to arrange for a change in port or a return of the cargo by the original vessel due to such a reason as the distance was objectively reasonable. Based on the principle of fairness, the cargo owner, under such a circumstance, could not exercise the right of stoppage in transit provided because in Article 308 of the Contract Law and, as it subsequently failed to dispose of the cargo promptly, resulting in its being auctioned off by customs at the port of destination, it should solely bear the losses. AllBright stated that this case was the best gift for the Belt and Road strategy, illustrating the equal treatment the Chinese courts accorded to the lawful rights and interests of domestic and foreign entities, and demonstrating the fine rule of law and business environment in the PRC. Allbright explained that the issue of whether the right of stoppage in transit provided for in Article 308 of the Contract Law applied to contracts for the carriage of goods by sea was a subject of debate in theoretical and practical circles. The judgment the Supreme People’s Court rendered in the case determined the rules and conditions for applying Article 308 of the Contract Law in the marine transport sector and had important guiding significance for international shipping operators on the issues of how to ensure and respond in future to cargo owners’ right of stoppage in transit. LEGAL COUNSEL: Herbert Smith Freehills was legal counsel to ZhenHua Oil. KEY POINTS: China ZhenHua Oil and the Iraqi government agreed to enter into a development and production service contract for the mainland company to develop the southern portion of the East Baghdad oilfield, estimated to hold eight billion barrels of crude reserves. Under the terms of the agreement, ZhenHua Oil commits to build an oil residential complex, which will lift East Baghdad’s crude production and help feed nearby refineries and power stations. According to Herbert Smith Freehills, the contract is the first of its kind since the Iraqi government announced it was changing the terms of its model-form upstream service contracts. The revised terms were designed to help the country overcome the volatility of global oil prices and their impact on revenue and to limit the development and production costs of upstream projects. LEGAL COUNSEL: Pinsent Masons was legal counsel to Sinohydro, the undertaker of the construction. Norton Rose Fulbright was legal counsel to Zimbabwe Power Corporation (ZPC). KEY POINTS: Last June, Zimbabwe closed a US$1.4 billion funding project for a 670MW coa-fired expansion project at Hwange, drawing on financing from China and other partnerships. The project will supply an additional 30% to the country’s generation capacity, reducing the potential for power shortages. Sinohydro is undertaking the construction of the power station and the transmission upgrades, the operation and maintenance of the power station, in addition to taking a minority equity holding in it. According to Pinsent Masons, Hwange is the first independent power project in Zimbabwe, meaning there are no past practices for both the government and the sponsors to draw on. LEGAL COUNSEL: Dentons was lead law firm for the project, and served as legal counsel for China Development Bank (CDB). Ahmad Isa & Partners was responsible for matters relating to Bruneian law, while Hailey Ho & Partners was Hong Kong legal counsel and Wong Alliance was Singapore legal counsel. KEY POINTS: In August 2018, the Bruneian 8 million-ton class integrated refining and petrochemical project to be constructed as a joint venture between Hengyi Petrochemical and the Bruneian government obtained a loan of not more than US$1.75 billion from a Chinese banking consortium led by CDB and Exim Bank. The project, the first phase of which involves an investment of over US$3.5 billion, is one of the first batch of the state’s key Belt and Road construction projects. Dentons explained that the project had been a long time in the making, involved several jurisdictions where laws varied substantially, the risk mitigation measures for which were complex and the members of the banking consortium making the loan to it numerous, requiring coordination of the various parties’ lawyers to resolve the various jurisdictional legal issues involved in the transaction structure for the project, greatly multiplying the difficulty of the work. LEGAL COUNSEL: King & Wood Mallesons and Liniya Prava Law Firm advised China Development Bank’s Henan branch on the financing related to the lease. KEY POINTS: The US$650 million aircraft financial deal involved the lease of 16 Airbus A320 and A321 aircraft to Aeroflot Russian Airlines. CDB Henan branch financed the lease. According to Liniya Prava, the lease was a landmark deal of complex financing, involving structured leasing through China, Ireland, Bermuda, Cyprus, and Russia. From the client’s standpoint, the project was an important part of CDB’s efforts to support the Russian aviation industry and Chinese local leasing companies “going global”, promote the Belt-and-Road infrastructure initiative and deepen regional economic cooperation. LEGAL COUNSEL: Sunshine Law Firm was legal counsel to developer Shanghai Electric Power, while Pinsent Masons was legal counsel to developer Envision Energy. King & Wood Mallesons served as legal counsel to the investment banking consortium and Schoenherr was the local Montenegrin legal counsel. KEY POINTS: The Mozura wind-farm investment and construction is one of the first batch such development projects in Montenegro. It was developed in cooperation with global strategic partners, including International Renewable Energy, a subsidiary of Shanghai Electric Power (Malta) Holding, Maltese energy company Enemalta, Envision Energy, among others, with a total installed capacity of 46 megawatts. Construction officially began on 7 December 2017. King & Wood Mallesons stated that the financing transaction structure for the project was complex. The project will make a substantial contribution to a stable supply of electricity for, and the rapid economic development of, Malta, and will also create a greater number of reproducible operational models and management models for the development of new energy projects in other countries. The project will provide a stable supply of electricity to the areas adjacent to Mozura and lay the foundation for the joint development of other energy projects in the Montenegrin region. LEGAL COUNSEL: Jincheng Tongda & Neal represented China Communications Construction in negotiations with the Myanmarese government’s Yangon New City Development on the Yangon New City investment project. KEY POINTS: In March 2018, the Yangon regional government announced the establishment of Yangon New City Development to vitalize the local economy through the construction of Yangon New City. The Yangon New City project has a total planned area of 1,500 square kilometres, including a 10-sq km industrial zone and a series of related infrastructure. The objective is to create 2 million employment opportunities. The Yangon regional government owns Yangon New City Development in its entirety. The company will mainly operate on a public-private partnership model and will be managed by members of its board of directors. In April 2018, the parties executed the Yangon New City project framework agreement at the Yangon regional government. Jincheng Tongda & Neal explained that Yangon New City was innovatively using the “Swiss challenge bidding model” recommended by the World Bank, which will have a benchmark demonstration effect on the interaction with local governments in the course of foreign investment by Chinese enterprises. 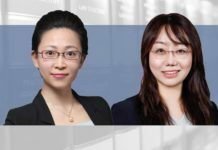 LEGAL COUNSEL: Doulah & Doulah and Grandall Law Firm acted as the Bangladeshi and Chinese legal counsels for the Shanghai and Shenzhen stock exchanges, respectively. Tanjibul Alam & Associates was the local legal counsel to the Dhaka Stock Exchange (DSE) in Bangladesh. KEY POINTS: The DSE is the most important securities exchange in Bangladesh, with 303 listed companies with a combined market value of US$44 billion. With the approval of the regulatory authorities of the two countries, a Chinese consortium, comprising the Shenzhen Stock Exchange and Shanghai Stock Exchange, successfully won the bid for 25 per cent of the equity of the DSE, becoming a strategic investor therein. Grandall explained that the time for the transaction was tight and the target of the acquisition was a financial institution that, in addition to the special local legal environment, made the project challenging. The legal teams cooperated with the parties, repeatedly summarizing and comparing the differences that popped up in the negotiations. Ultimately, the regulators approved the transaction so as to prevent legal risks and meet their requirements. LEGAL COUNSEL: Tian Yuan Law Firm acted as lead law firm for the project and served as Chinese legal counsel to Sinohydro Corporation Limited (Sinohydro). Mena Associates and Amereller Legal Consultants were the Iraqi legal counsels. Zhong Lun Law Firm acted as legal counsel to the banking consortium, while Al Tamimi & Co was the Iraqi legal counsel to the banking consortium. KEY POINTS: The Rumala 730MW combined cycle power plant is a major central Iraqi government-approved electric power project, which KEPPT operates after investing to develop it. Sinohydro served as general contractor. The contract amount exceeds US$1 billion. This project is the first private sector sovereign guarantee project rebuilt in post-war Iraq. Tian Yuan explained that financing for the project was using an accounts receivable factoring model on backing from export credit insurance, with China Export & Credit Insurance Corp underwriting medium-term and long-term export credit insurance and a bank consortium, made up of several financial institutions, including China Exim Bank, as lead bank, Bank of China, China Construction Bank, China Minsheng Bank, providing the financing. This is the first time that a domestic policy bank, state-owned commercial banks and joint-stock limited banks have attempted to cooperate in the form of a banking consortium to provide jointly more than US$800 million in seller financing. LEGAL COUNSEL: Sunshine Law Firm was legal counsel to China Power International Development (China Power), and GRATA was Kazakhstani legal counsel. Li & Partners was responsible for the notarization and signing of documents. KEY POINTS: China Power owns 80% of The Zhanatas 100-megawatt wind-power acquisition and development project in Kazakhstan. It is the first wind-power project that China Power proposes to develop in the Asia-Pacific region using the EPC form. China Power will jointly develop the project with Kazakhstan’s Visor. This will be the first renewable energy project on the China-Kazakhstan production capacity cooperation list to come on stream. It will also be the largest wind-power project to come on stream in Kazakhstan and slated to start production on 9 March 2020. Sunshine is acting as adviser to China Power, providing full spectrum legal services for the acquisition and development of the project. GRATA explained that the main tasks of its team included drafting a general legal environment report, conducting legal due diligence on the target company, reviewing and amending the new charter of the target company and obtaining anti-monopoly consent for economic concentration under the laws of Kazakhstan.